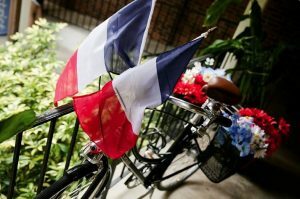 The Audubon Park Garden District is pulling out all the stops this year for a four day Bastille Day Celebration with food, drink, entertainment and more. There will be the Fifth Annual Wine and Cheese Pairing with La Femme du Fromage’s Tonda Corrente, Rouge Rouge the pop up market returns to Redlight Redlight, Maria Antoinette is scheduled for an appearance, and NEW THIS YEAR – the Bubbles Bash Sip and Stroll. With more stuff to be added.